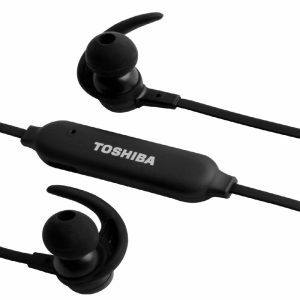 Easy to charge, easy to wear, easy to carry – Toshiba brings you truly cordless earphones with CordFree True Wireless Earbuds. With a sleek and fitted product design, these earbuds are a comfortable and convenient component to stay connected to your phone – all without the bulky clumsiness of phone jacks and wires. Forget about constantly taking out your device to untangle a chord, or frantically searching for it when you get a phone-call: with these earbuds, you’ve got everything within reach. The RZE-BT800E brings to you truly wireless earbuds that are the perfect addition to your musical and audio needs. 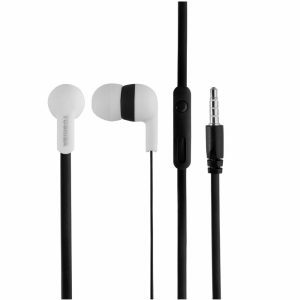 Built with Bluetooth Ver.5, the ear buds have a connectivity range of almost 10 metres (or 33 feet), and automatic connecting/disconnecting ability with paired devices. 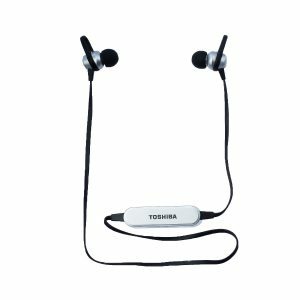 This, combined with the built-in dual mics, the double-click recall, and stereo option for phone-calls, ensures the most convenient, cordfree experience ever. The international grade Lithium-Ion battery guarantees a state-of-the-art quality of battery life for a wireless product. It brings to the table, along with a speedy charge time, a convenient and travel-friendly companion. 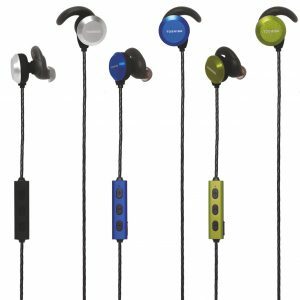 With a frequency response range of 20Hz to 20KHz, these earbuds can deliver a wide variety of octave vocal ranges and genres of music without any compromise on the sound and instrument quality. 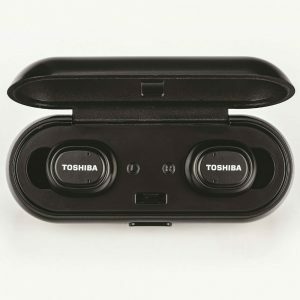 Toshiba CordFree True Wireless Earbuds can drop to the deepest bass notes and elevate the sharpest trebles with crisp clarity. The experience is like a studio performance taking place in your ears. 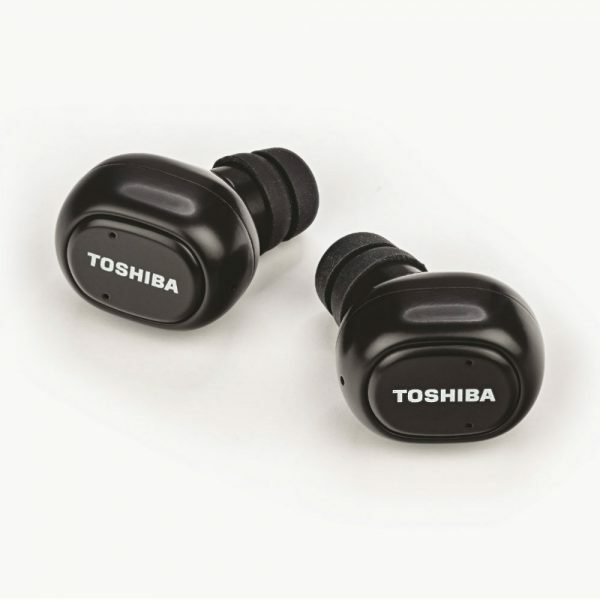 Manufactured with water (and sweat) resistant materials, the Toshiba CordFree True Wireless Earbuds are the perfect partner for your workout. The suave and snug fit makes for a hassle-free musical experience without the worry of the device falling out, or bothersome wires getting in the way. The perfectly lightweight body and slim design is easy to transport and easy to wear. 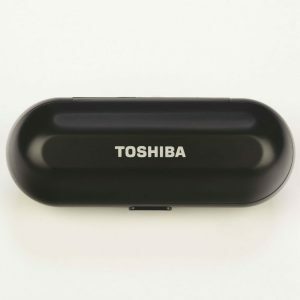 Moreover, the product comes with a stylish carrying case that is compact in design and also doubles as a charging case. With a charging time of approximately 1.5 hours (for the earbuds and the case), and a playback time of almost 4 hours, the CordFree True Wireless Earbuds pack a powerful performance.